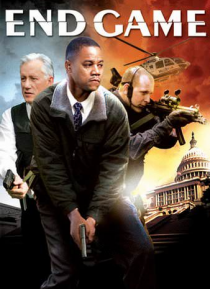 When Secret Service agent Alex Thomas (Cuba Gooding Jr.) acts too slowly to stop a crazed shooter, the president of the United States (Jack Scalia) is brutally shot in the middle of a press conference. In the wake of his death, journalist Kate Crawford (Angie Harmon) begins to suspect a massive conspiracy is afoot. Crawford convinces a skeptical Thomas to help her, and the two struggle to unravel … the mystery behind the assassination -- before they become the next targets.